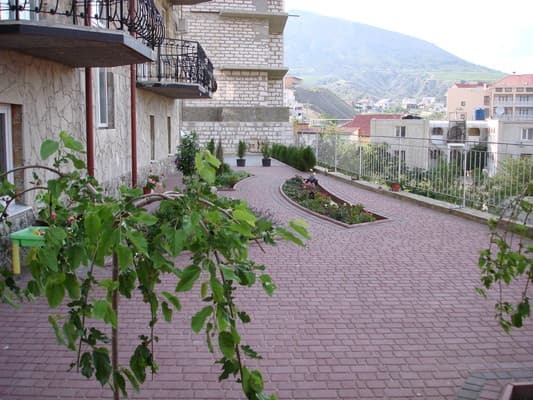 Hotel Villa Eva is located 200 meters from the central street of Sudak (Lenin street). "Villa Eva" is a 3-storey building of modern construction, from the windows of which you have a beautiful view of the Sudak bay and the majestic Genoese fortress. The hotel has 11 comfortable rooms. 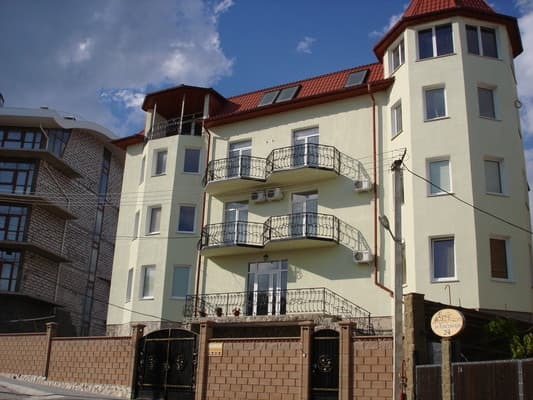 The hotel offers accommodation in 2 and 3-bed rooms, decorated in a European style. 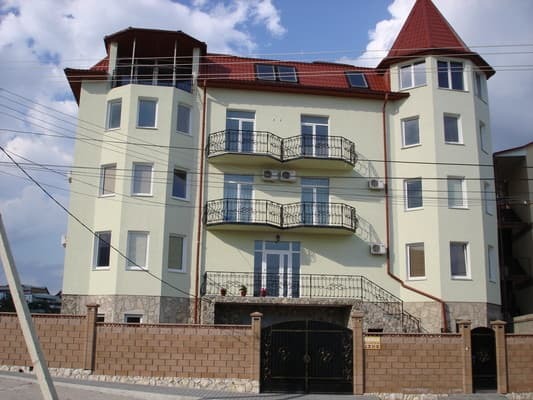 In each room: air conditioning, LEED TV, cable TV, bathroom with bath, hot water round the clock, refrigerator, balcony. Rooms are cleaned every other day. Free WI-FI is provided. 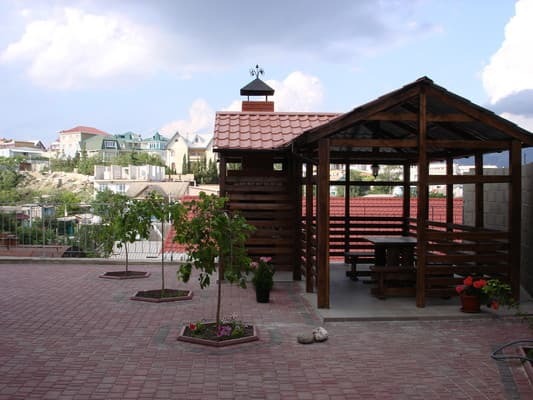 On the territory of the hotel there is a dining room where you can eat at home deliciously. There is a parking place. Distance to the sea is 500 m (7 minutes walk). PRICES MAY CHANGE, IT IS REQUIRED TO RECEIVE INFORMATION FROM THE OPERATOR. The client will be able to pay in the hotel in a currency convenient for him: dollars, euros, rubles. 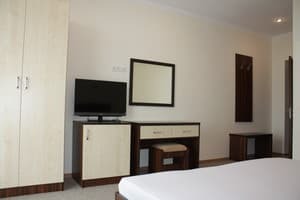 Description of the room: Cozy bright room with a double bed. When you check in one person you get a 20% discount. 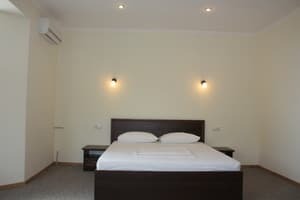 Description of the room: In the room there is a double bed. When you check in one person you get a 20% discount. Description of the room: Cozy elegant room with a total area of ​​more than 30 square meters. The room has a double bed and a sofa. There is an additional place for a surcharge, depending on the period of arrival and the age of the tourist (adult or child). When you settle two people a 10% discount. Children under 3 years old, without the provision of additional space, are accommodated free of charge. 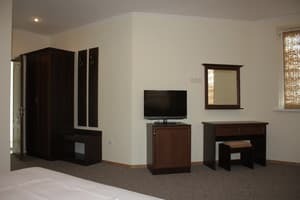 The cost of extra bed is to be specified at the time of booking. 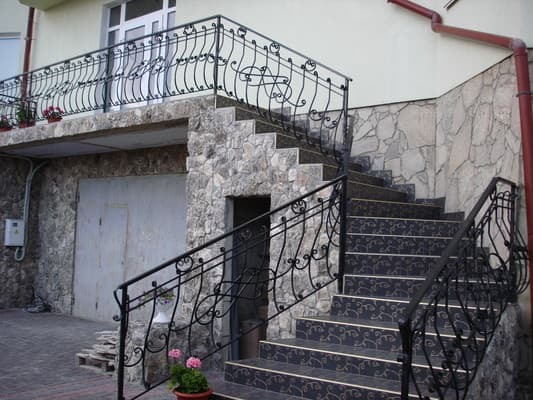 Hotel Villa Eva is located 200 meters from the central street of Sudak (Lenin street). Distance to the sea - 500 m (5 minutes walk).